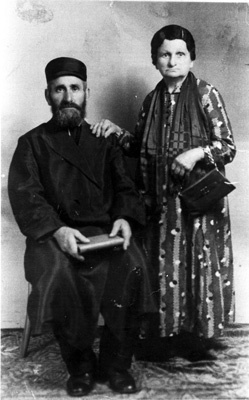 Harry's grandparents, Israel and Liba Blas, ca. 1910. This photograph was sent to Harry's aunt Esther in Montevideo, Uruguay, who then passed it on to him.